Pepper Morgan-Pressley began last week's Executive Meeting with some dire news. She showed the team what New + Reactivated buyer counts looked like over the past five years. The results were not good. Meredith Thompson (Chief Merchandising Officer): We had our best year of the past five last year. If anything, there's a direct correlation between not doing well at customer acquisition and having business success. It's a good thing I raised prices on new merchandise or we'd have really been in trouble with marketing messing everything up. Pepper Morgan-Pressley (Chief Marketing Officer): When new items are more expensive, fewer new customers purchase. We have two decades of data to prove that point. Meredith Thompson: Nevertheless, my team bailed the brand out this year. Lois Gladstone (Chief Financial Officer): We spent a lot less on catalog marketing this year. Isn't this a simple issue of spend less, get less? Pepper Morgan-Pressley: We spent more on customer acquisition this year vs. last year and got fewer new customers. Lois Gladstone: That's your fault. You are supposed to find new customers. Roger Morgan (Chief Operating Officer): You've got that right, it is Pepper's fault. I had dinner with our co-op rep last night, and Madison told me that there were clients who are appending grocery data to their selects and are gaining a ton of business intelligence in the process. Pepper Morgan-Pressley: We work with three co-ops, not just one. All of 'em performed awful. Even Google and Facebook performed poorly vs. 2016. We spent more on online marketing, more on catalog co-ops, and we spent less on our 12-month buyer file. The latter worked wonders! But online marketing and acquisition efforts failed badly. Lois Gladstone: Fix it, that's your job. Pepper Morgan-Pressley: I've been saying for five years that these channels are dying. We need to do have a brand marketing campaign that is lasting and memorable. Meredith Thompson: Does anybody do this successfully? Because I remember when we had that Executive of Global Brand Direction and all he ever did was talk about stuff nobody could understand. That was a failure. And that's what you want more of? Pepper Morgan-Pressley: No! I was thinking of our version of what Duluth Trading Company does. Meredith Thompson: They're not even in New England, they don't count. And their ads are offensive. No. We're going to protect our rich heritage as a cataloger. Go find a way to make my catalog work with time honored sources. Somebody has to be doing a good job, go figure out what they're doing and copy them. Ever been in a meeting where the discussion went off the rails like this discussion went off the rails? The Executive Team wants Pepper to revisit the process. But the process is broken. It doesn't matter how hard Pepper argues, it doesn't matter what Pepper argues, this team doesn't even want to address what the core issue is. The core issue is that the process is broken. What is the process that is broken? It's the process of acquiring new customers ... a process that has been in place for maybe forty years, with modifications in the past 15 years (Google + Facebook). That process ... paying a co-op ... or paying Google ... or paying Facebook ... that process is broken. 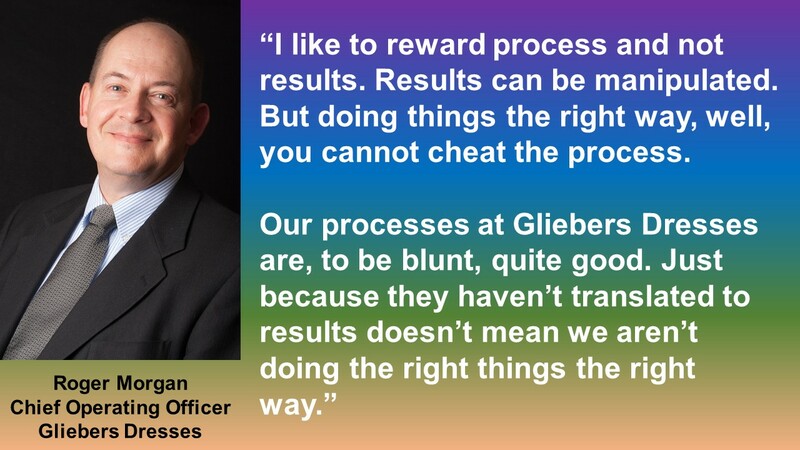 Can you have success employing a broken process? Absolutely! 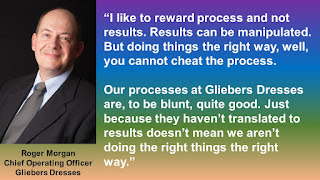 But then you have to perform so amazingly better at everything else (merchandise, value proposition, creative) ... and if you slip up just a little bit, the broken process reappears. We'll talk more about this on April 5 (register here please). Please join me for this important discussion!